Brand: Nielsen-Massey Vanillas, Inc. NMV-87002 Units: 2 oz. 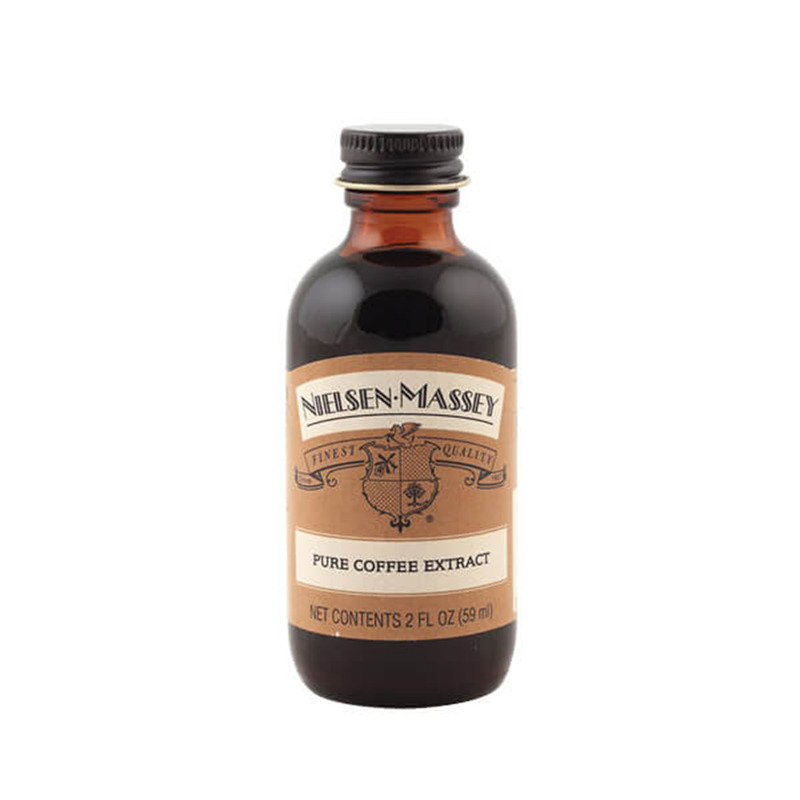 bottle Pure Coffee Extract is the essence of rich brewed coffee in a concentrated form that allows the cook to deliver the nuances of coffee without having to brew a pot. Use it to add subtle richness to a vanilla milkshake or hot chocolate. Add it to hot fudge sauce as a topping for ice cream, add it to vanilla yogurt, or blend it into whipped cream to go with brownies or pound cake. It's also a great addition to molten chocolate cakes, tiramisu, or molasses cookies. Pure Coffee Extract is the essence of rich brewed coffee in a concentrated form that allows the cook to deliver the nuances of coffee without having to brew a pot. Use it to add subtle richness to a vanilla milkshake or hot chocolate. Add it to hot fudge sauce as a topping for ice cream, add it to vanilla yogurt, or blend it into whipped cream to go with brownies or pound cake. It's also a great addition to molten chocolate cakes, tiramisu, or molasses cookies. Ingredients: Water, Alcohol (35%), Coffee Extract.